We are excited to make the first of three line-up announcements including artists and speakers to participate at the 11th annual A3C Festival & Conference. The internationally recognized five-day festival and conference will feature hip-hop icons: De La Soul, Rakim, Cam’ron, Dame Dash, Just Blaze, Curren$y & Jet Life, Jean Grae, Cyhi the Prynce Pharoahe Monch, Soulection Executive Team, PNB Rock, The Difference Machine and Kool Keith. Hundreds more performers and speakers will be announced over the next 3 months. 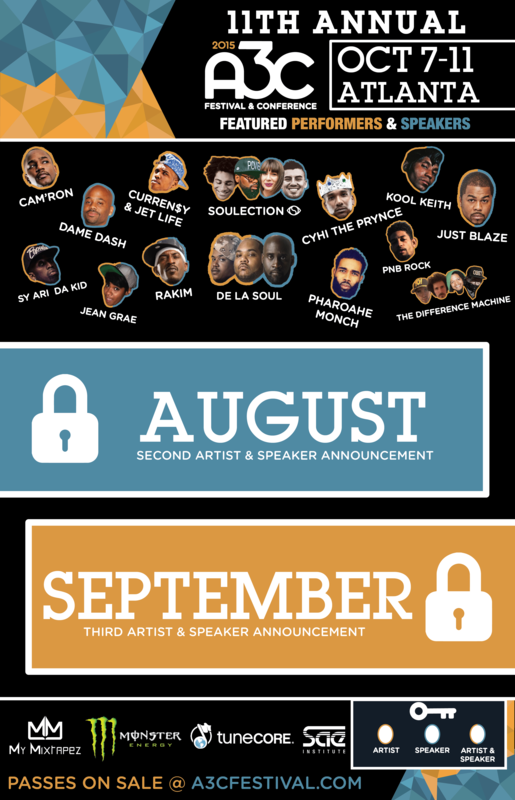 A3C will have three featured artist/speaker installments before the event kicks off. The next announcement will be made in August, and the last announcement will drop in September. 2015 A3C will take place October 7-11, 2015, in Atlanta’s eclectic Old 4th Ward, along Edgewood Ave, and East Atlanta Village. A3C has moved the Conference Center to The Loudermilk Center, and the host hotel to the Sheraton Atlanta Hotel. 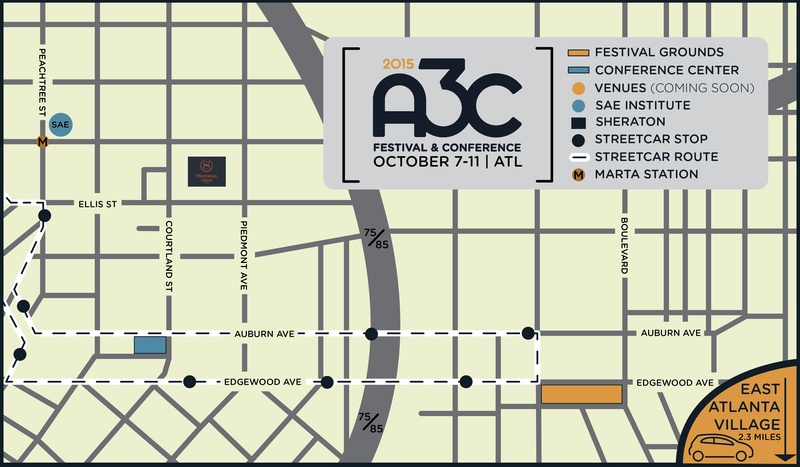 The A3C Pro-Audio Conference Center will remain at the SAE Institute of Atlanta, and A3C has partnered with the Atlanta Streetcars to move A3C attendees around Atlanta for free. 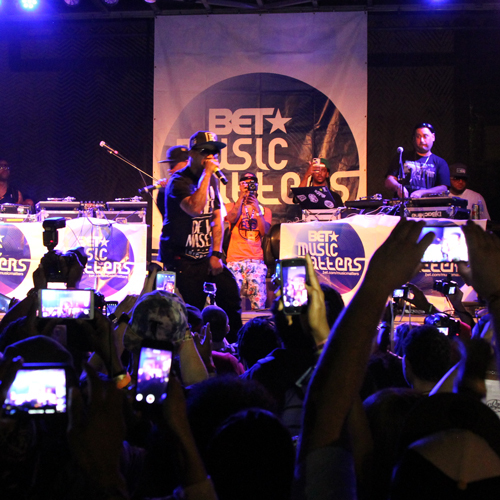 A3C artist submissions are open through September 19th. Submissions are free through September 1st for artists with a Sonicbids account. To date YCDon, Buggs Tha Rocka, Shope’, Young Chizz, Triune and nearly a dozen other artists have been selected to perform at this years A3C Festival & Conference. Past Sonicbids selections include: Young Thug, Trinidad James, Rhymefest, Ca$h Out, Que, Black Sheep, Tanya Morgan, CJ Fly of Pro Era, & Propaganda. 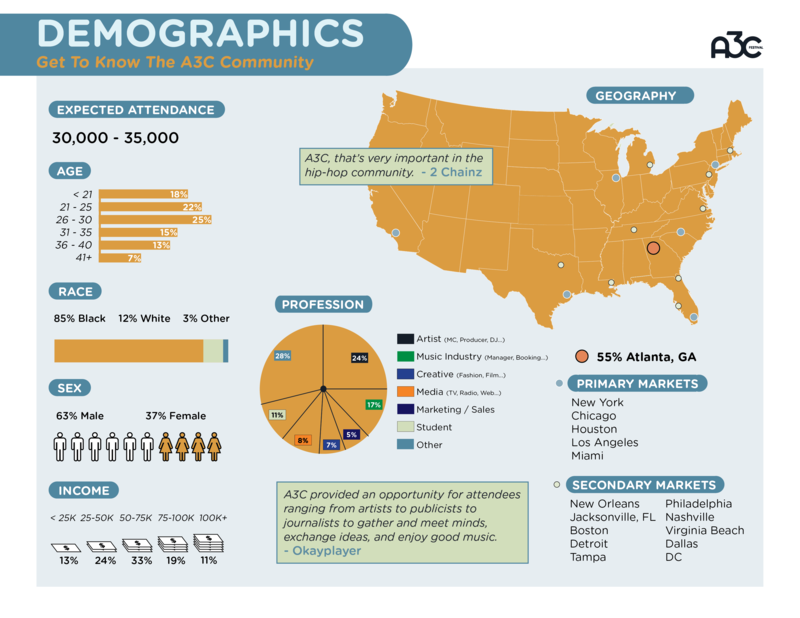 The A3C Conference is an incomparable platform for the Hip-Hop industry, academics, creatives, companies and organizations to connect, learn and build. A3C Conference includes keynote speakers, panels, workshops, demos, interviews, screenings, mixers and exhibits featuring over 150 Hip-Hop industry experts, academics and influencers “I really love what this conference represents. I love that most of the people that you see are business minded, it’s inspiring.” states Bun B. 2015 A3C Festival & Conference presenting partners currently include: MyMixtapez, Monster Energy, SAE Institute of Atlanta, Morehouse College, Mail Chimp, Tunecore and Sonicdbids. For more information about the A3C Festival & Conference, taking place in Atlanta on October 7-11, 2015, visit www.a3cfestival.com. 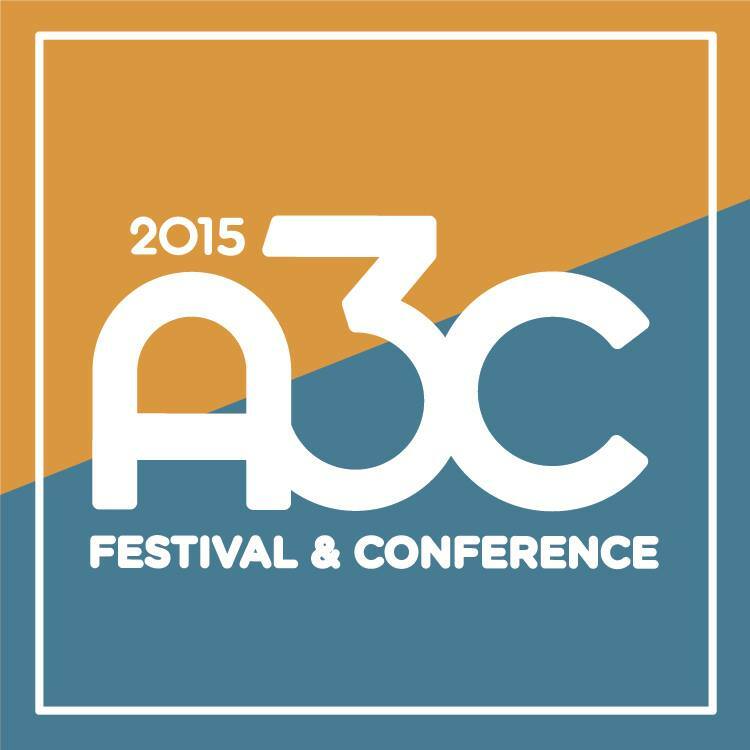 Follow A3C on Facebook.com/A3Cfestival and Twitter – @A3C and Instagram – @A3CFestival and the hashtag is #A3C2015. You received this email because you are subscribed to A3C Updates from A3C Festival. Last-Minute Weekend Getaway Deals! Take up to $15 ◊off with Promo Code WEEKEND15. Book Now!